When you’ve got a busy day to tackle, your phone’s battery might not be able to keep up. But with the new Limefuel LP200X, you don’t have to worry about running out of charge on your device: this compact 20,000mAh battery pack has enough juice to recharge your phone and tablet simultaneously, with power to spare. The Limefuel LP200X also features a digital display to show you how much charge it has left, as well as a built-in flashlight for when you need it most. Plus, it’s small enough to slip into a purse, jacket pocket or backpack. As if that wasn’t enough, wait till you hear the offer we’ve got for you at TNW Deals! Score the Limefuel LP200X for just $34.99 (52% off), inclusive of free shipping in the US. 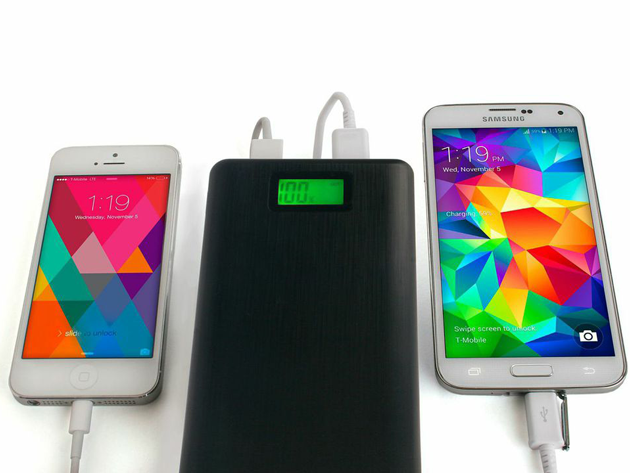 Order now, and leave your mobile battery worries behind.